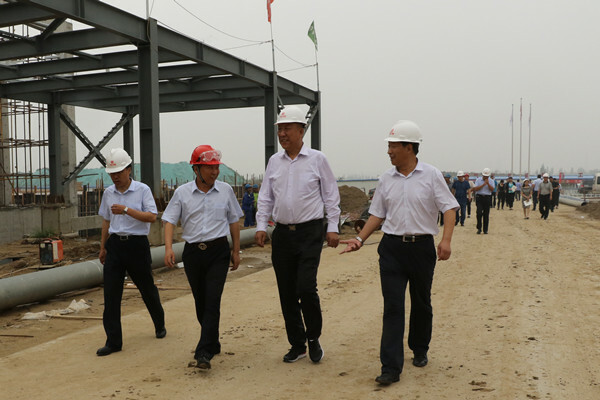 On July 20th, Mr. Zhang Shiming, Secretary of Party Committee and Chairman of the CPPCC Baotou Committee, Inspected Tongwei High Purity Crystalline Silicon Project in Inner Mongolia. Mr. Zhou Zhining, Deputy Secretary of Party Committee and Vice Chairman of the CPPCC Baotou Committee, accompanied through the inspection. Mr. Gan Jufu, Director of Yongxiang Co., Ltd., General manager of Tongwei High Purity Crystalline Silicon Project in Inner Mongolia, warmly received. Next: Chairman Liu Hanyuan Attended Purchase & Sales Department Mid-year Summary Meeting of Yongxiang Co., Ltd.